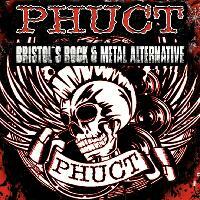 PHUCT are well stoked \m/ to confirm that we will be rocking the Lanes with our pre Xmas Shindig this December!! Rock your festive world with DJ's HAGGIS, DAVE B & MISSY MALICE, bringing you the best Metal, Alternative Rock, Punk, Nu Metal & Classic Rock on offer........prepare to dance/mosh/headbang your arses off and expect a few Xmas bangers!!! Linkin Park / Metallica / Rammstein / Ghost BC / Slipknot / Limp Bizkit / A Day To Remember / Foo Fighters / Distillers / Nin / ACDC / Skindred / SOAD / Alterbridge / Fall Out Boy / Deftones / Korn / Muse / King 810 / Code Orange / POD / Stone Broken / Nightwish / Avenged Sevenfold / RATM / Prodigy / QOTSA / Arch Enemy / Airbourne / Disturbed / Slayer / Rancid / Fear Factory / Shinedown / Drowning Pool / Offspring / Papa Roach / Sum 41 / Drop Kick Murphy’s / Blink 182 / Parkway Drive / While She Sleeps / Sabaton / Iron Maiden / GnR / Hatebreed / Parkway Drive / Muse / Andrew W.K. / Kreator / Bad Religion / Pantera / Volbeat / Ozzy / Trivium / Faith No More / Drowning Pool / RHCP / Evanescence / Placebo / The Raven Age / Avatar / A Perfect Circle / Transplants / Bullet For My Valentine / Stone Sour / Toseland / My Chemical Romance / Nirvana / Killswitch Engage / Halestorm / Savage Messiah / Of Mice & Men / Soundgarden / Rob Zombie / Buckcherry / Hollywood Undead / Paramore / Green Day / Machine Head / Lamb of God / FFDP / Beastie Boys / Godsmack / Motley Crue / Black Label Society / Buckcherry and Many Many More ! !………..